Mastic Vinyl Siding | Wilmington DE | Homecraft Inc.
Homecraft®, Inc. is proud to install premium vinyl siding from Mastic, one of our nation’s top manufacturers of vinyl siding. 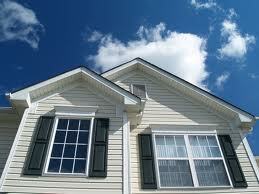 Our Delaware vinyl siding contractors have extensive experience installing vinyl siding from Mastic. Homecraft® is the Delaware vinyl siding company that can provide the high level of service and installation to match the quality of Mastic Vinyl Siding. Call today! Call Homecraft®, Inc. at (302) 798-0302 today to schedule a free in-home estimate for siding. Or simply fill out our convenient on-line “Request a Quote” form.